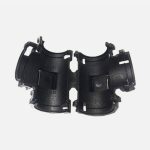 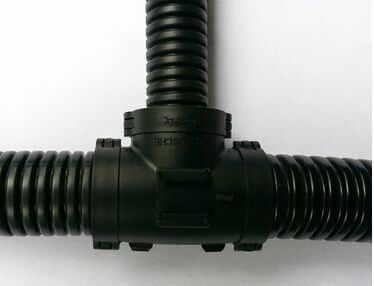 Wire loom tee fittings are widely used in wire and cable protection industry, to fix and hold the plastic flexible conduit. 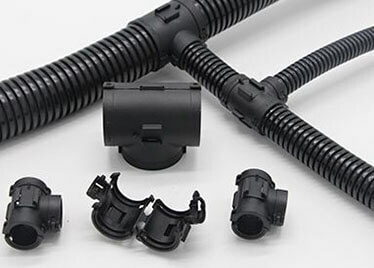 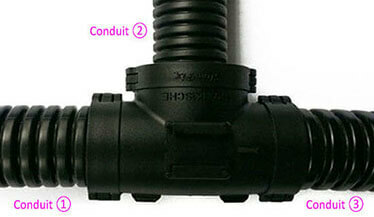 Wire loom tee fittings can be opened and fix three sizes of flexible plastic conduit. 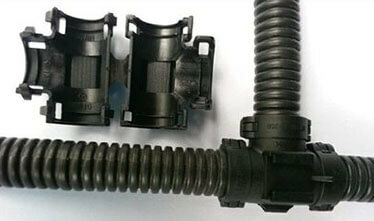 Wire loom tee fittings custom service is workable for us. Like color, materials, packing quantity, packages, logo etc.